The March issues are on the shelves and the SS15 campaigns are out, but this season the game has changed and it’s a big talking point for the fashion industry. The biggest change this season comes from the power of social media. For years the big publication houses have been the choice for brands to launch their seasonal advertising campaigns, and quiet rightly, the likes of Vogue and Harpers Bazaar boast a readership of more than a million in the UK, great, once upon a time. However, with celebrities now commanding a social media following hitting the millions, not even Vogue can compete. The power of celebrity isn’t something new either! Vogue Paris featured Audrey Hepburn on its cover back in 1962. If the aim is to get the brand out to the masses then you need to get a celebrity to launch it, and this has happened more than once this season. A clever idea in sharing this content couldn’t now be easier, and the ‘like’ button is merely a click away. So who is tapping into the craze? Well of course Kim and Kanye (West, just in case you have been in the Amazon Jungle for a while) for Balmain kicked off a social frenzy in December 2014, launching four images on Kim’s own Instagram page, reaching a staggering 24.9 million followers. 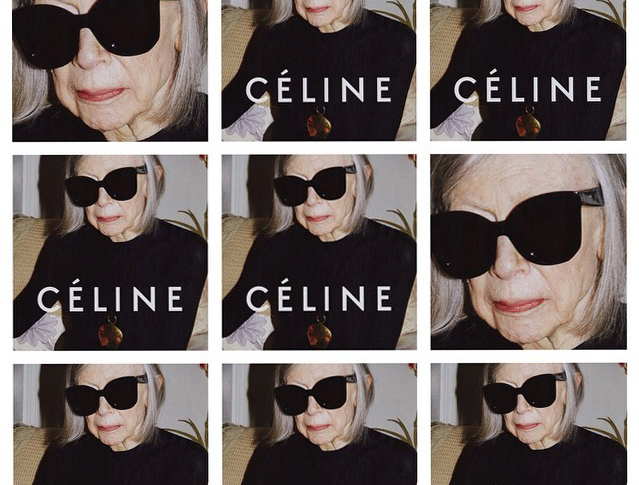 Celine followed suit this month and released the image of author Joan Didion in a dark glasses and polo neck for its 2015 campaign and the world couldn’t ignore it, and before you say it’s just for the fashion followers everyone from the Guardian, New York Times and Forbes featured it. And Celine wasn’t the only brand to kick start the New Year with its new releases, Calvin Klein also worked with Justin Bieber to become the face of the SS15 campaign and again, it was Justin who was responsible for launching the images. So seven images and one video later and 22million people round the world have the campaign in their hands. It’s almost a no brainer, but models should fear not…just yet. The power of Cara Delevingne still has a reach of nine million and Jourdan Dunn one million. True to the fashion world, the trend is changing but like most things, it’s likely to come back around. Now over to the publication houses to raise their game.